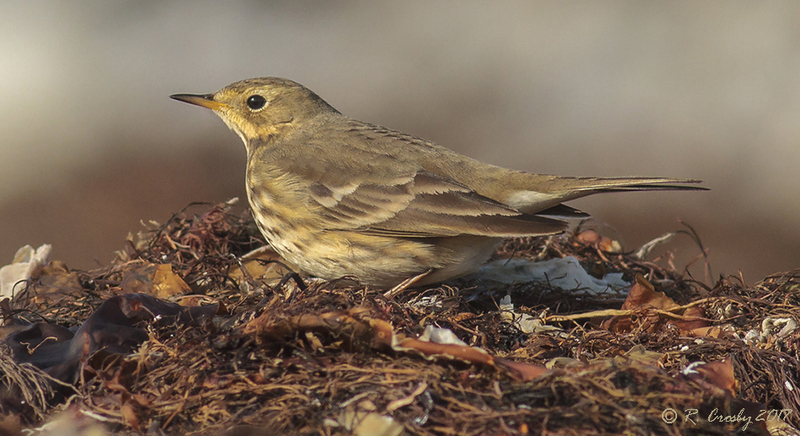 There have been a few pipits to be found at Hemeon's Head on several occasions this year in late Fall/ early Winter. On this day (November 26) there was a small flock feeding in the seaweed piled up on the beach. It's a common place to find them looking for bugs. Although I photographed more than one bird I decided to include only my favorite shot of the day.